A 77-year-old woman was killed Thursday evening in a hit-and-run collision in San Jose and the suspect remains at large. 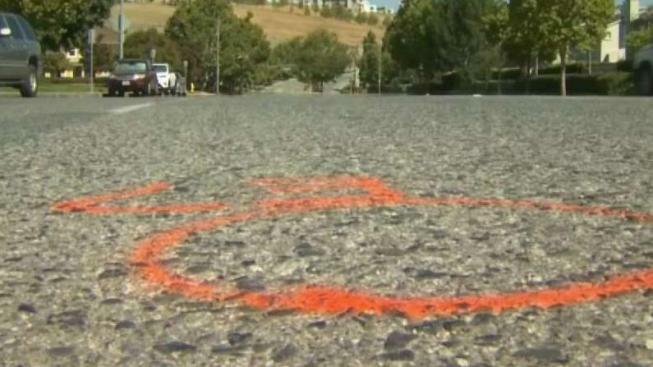 Police are investigating a deadly hit-and-run collision in San Jose. A 77-year-old woman was killed Thursday evening at about 7:35 p.m. Officers responded to reports of a vehicle vs. pedestrian at Vistapark and Copperfield drives, police said. The victim, Uma Vishwabhan, was walking across Vistapark near Copperfield when a dark blue minivan or SUV traveling southbound on Vistapark hit her, police said. The vehicle fled the scene without stopping. Vishwabhan was taken to a local hospital, where she was pronounced dead a short time later, police said. The suspect has not been identified or apprehended. It was San Jose’s 33rd fatal collision, 35th victim and 14th vehicle vs. pedestrian fatal collision of 2018. Anyone with information is urged to contact Detective Brian McMahon of the San Jose Police Department's Traffic Investigations Unit at 408-277-4654. Those wishing to remain anonymous may call the Crime Stoppers Tip Line, (408) 947-STOP (7867). Persons providing information leading to the arrest and conviction of the suspect may be eligible for a cash reward from the Silicon Valley Crime Stoppers. "This person who just came, hit her, and then sped away," said the victim's daughter in law Enguli Vishwabhan. "What kind of community are we living in? If someone has seen the make of the vehicle, license plate, any clue about that person, that would be helpful for us to get the closure on this one."